This year I decided to take the summer off from any formal school work. The older girls wanted to continue their Teaching Textbooks math, and they also did some reading, but the rest of us just enjoyed the freedom of summer. Freedom to swim, play outside, ride bikes, and make happy memories. I loved having some extra time to work on deep cleaning and sewing. It was very refreshing. And now I think we’re all ready to get back to a learning routine. I love this time of year. I love stocking up on glue sticks, notebooks, markers, and crayons. And I love glitter. We have a well-stocked art supply cupboard, thanks in large measure to the grandmas! When I think about a new school year, I think about good books. 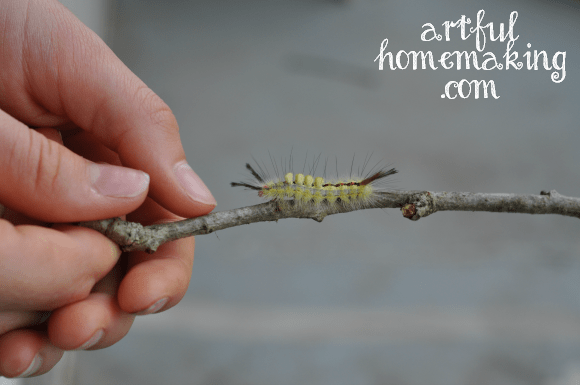 I think also about art projects, poetry, nature walks, and meaningful learning experiences. 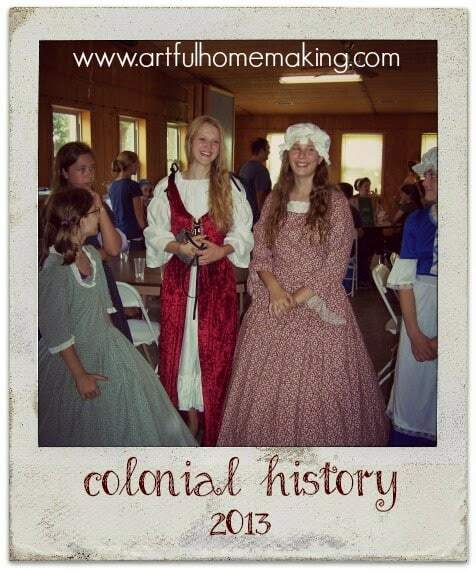 I think of historical costumes and meals that make the time period we’re studying come alive. We’ll be using many of the same resources we used last year. As we did last year, each day begins with Bible/Scripture Memory/Character Goals. 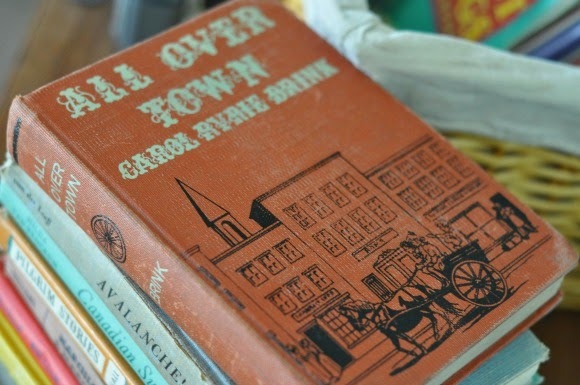 I pulled a book from our shelves that’s been collecting dust for years, called Character Building for Families. I don’t know why we never used it before, but it seems to be just what I was looking for at this time, so I’m going to try it. It will be used for Bible, Character, and Scripture Memory. I’ll also incorporate some ideas from Laying Down the Rails for Children. In addition to this, we have family worship in the evenings, which includes a catechism Q&A (our youngest especially loves this time!). For History, we’ll be continuing on with the general idea we used last year, and I plan to add a few of my own ideas as well. The older children will have their own reading lists to work through, in addition to the books I hope we can all share together as read-alouds. We’ll also add to our Book of Centuries and nature journals. For Art Study, we’ll use Simply Charlotte Mason’s Picture Study Portfolios again. And for art projects, I’ll turn primarily to one of my favorite art websites, Deep Space Sparkle (and Pinterest). And I’ll probably throw in a few chalk pastel lessons, too! Literature: Reading list compiled from various sources, including here and here. Literature: Reading list from various sources. Lots of storybooks! We have just loved all the books we encountered in Before Five in a Row last year, and now we’re enjoying them again, along with plenty of new ones. In addition to the usual academic subjects listed above, I also hope to incorporate Logic, Hymn Study, Music/Composer Study, and Poetry into our days. To organize everything, this year I decided to try the Well Planned Day Family Homeschool Planner. I’m hoping it works for me, but I won’t know until I’ve had a chance to really try it out–so far I’ve just begun the process of filling it in. The past couple of years we’ve started our new school year in September. I’m planning to do the same this year, especially since we don’t even have all of our books yet! Do you take the summer off, or do you do year round school? Lilla Rose Hair Band Giveaway + Sale + Now Accepting International Orders! What a fun summer!! I love your method of homeschooling. 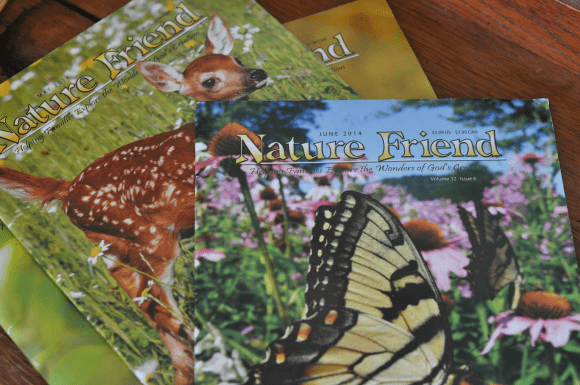 I was up in our attic and found all our Nature Friend magazines in a bin waiting for grandchildren to enjoy them someday. Thanks so much for sharing such a wonderful post. 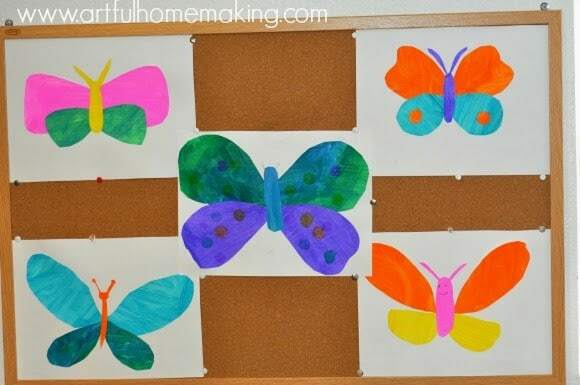 Thanks for sharing your homeschooling plans with us last week on the Art of Home-Making Mondays. We have a few of the same books and also love the Book of the Centuries timeline. We are doing a History of the World study with it and are in Ancient Rome… So much fun! Thanks for stopping by, JES! Your history studies sound very interesting and fun! Just found your blog via faithfulbloggers directory. 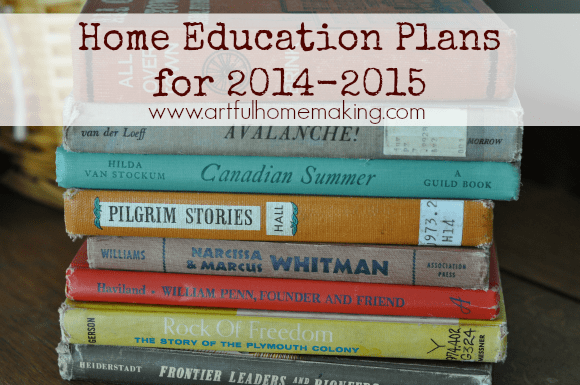 What a well thought out and extensive plan for your homeschool year! I will have to share this with my sister. She just began homeschooling my neice last spring and is still finding her feet. I look forward to seeing how things progress throughout the year. Thanks so much for stopping by, Beckey! I love seeing your plans for the year! I'll have one in K next year so I'm especially drawn to what you're doing for Kindergarten. And I want to come do school with your family! It looks so inviting! I'm so excited that I get to educate my girls at home, what a blessing! I also feel like I'll get a lot smarter teaching at home. I'm excited about all that I'll learn in the process of teaching and training my little ones. So glad you're back to blogging. I've missed your inspiring posts!!!! I know what you mean about getting smarter as you teach your children. It does often work that way. Except in Algebra–that's why I'm thankful for Teaching Textbooks. Someone else is doing the teaching in that area that I'm not skilled in! But I have learned so much about history that I never heard during my school years (or if I had heard it I forgot it). Thank you so much for your kind words about my blog–you really encouraged me today! I like your choices. Everything looks streamlined. We generally use Ambleside Online, but my daughter in her senior year is doing something different than that. We school year round but take some longer breaks in the summer. Maybe 3 or 4 weeks off during the summer. My yard is small and my boys need more room to tussle in and I can't always go to the beach or park. Plus if they are doing school they aren't asking for electronics. ;0) Doing school year round just makes it easier and gives more routine to the day. Thank you, Christy! I've used Ambleside as a reference from time to time. It's a great resource. I just love looking at others plans for the new school year! Thank-you for posting a link to the yearly Bible plan! I've been looking for one for the kids. I love all the living books you use! Do you use all the book suggestions on the Charlotte Mason History link? I love how the book is for all the grades! This might be something we should try. Currently we are using history texts from Rod and Staff. This summer Emma worked on her TT Algebra and I continued to work with Ellie on her handwriting and phonics. Other than that, we took the summer off or I should say we replaced schooling with gardening. I don't know if that would be considered taking a summer break or not. 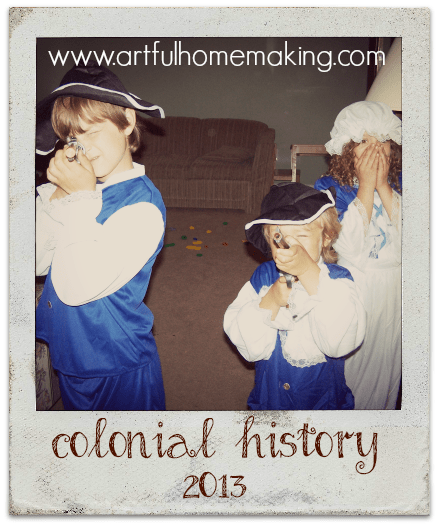 🙂 There are so many things I would love to do in our homeschool, but find it impossible with a toddler running around exploring the house. I have to remind myself daily that homeschooling is a lifestyle of learning and that there isn't one set way to do things. Do you usually let the house go while you do school? 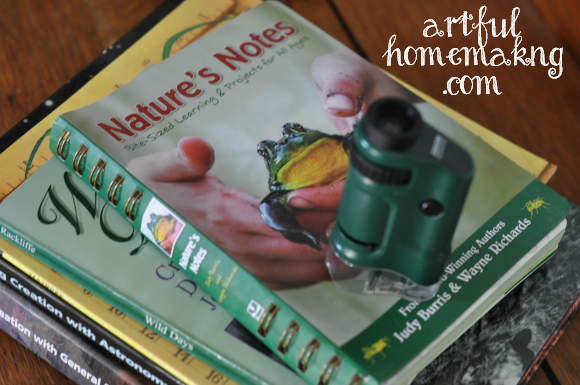 I find it so difficult to balance the home and homeschooling. Thanks for sharing your plans for the year! God bless your school year!! Last year we used most of the books recommended for history, but not all of them. We find most of them used and then I resell them when we're done with them. Also, I don't buy them all upfront, but just before we need them (a few months before). This year I'm not going by the plan in the book. I'm just planning to use the book suggestions to make a booklist to read aloud and a booklist for each child to read on their own. And I'm thinking about getting a library card at a larger library. We've done that before, and it saves lots of money (even though you have to pay for the card since we're out of the area). Yes, it's a lot harder when you have a toddler, for sure. And there isn't one right way to do things, as you said. Regarding housework, the children have chores in the morning that they're supposed to do. Then we would do school. During the time we're doing school we're not doing housework, but I do usually have a load of laundry going. The four older kids take turns doing dishes (our dishwasher doesn't work), so I don't have to do that myself anymore. And the girls do a lot of the cooking. That's one reason I like the idea of taking the summer off, as it gives me a chance to do a bit more in-depth cleaning. 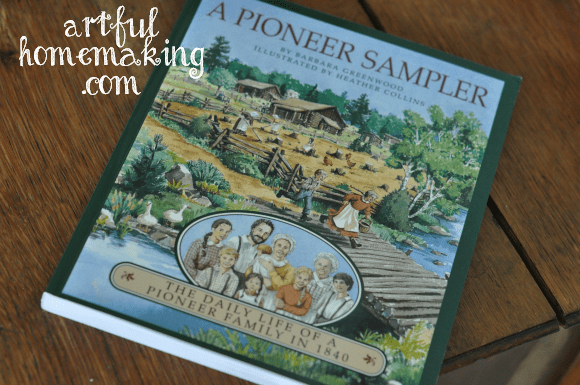 It's definitely not easy to balance homemaking and homeschooling. One thing that I think would be helpful is having an afternoon chore time where everyone cleans up after a morning of homeschooling. I have this on my schedule, but I usually forget to have everyone do it. I'm going to try to remember to implement that this year as I think it would make a huge difference! Blessing to you! This sounds like a wonderful year! We have been back to school for a few weeks, I wanted a little more flexibility during the year. It was a little hard to get back at it though…I'm not sure what we'll do in future years! Thank you, Becky! That's one nice thing about starting earlier…you do have more flexibility. I may consider doing that next year. We have a big event at the end of August every year, and also several birthdays, so that's why I usually wait until September. But then sometimes I do feel like we are getting started a bit late. I'm so glad you came to visit!